TRUMP JUST GUTTED U.S. POLICIES TO FIGHT CLIMATE CHANGE | "Global Possibilities"
Three months into President Donald Trump’s first term, one thing has become increasingly clear: Trump has no interest in maintaining the environmental protections ushered in by President Barack Obama. Trump looks to solidify that intention on Tuesday, releasing a sweeping executive order that touches nearly every environmental action taken by the previous administration. In the order, the president asks for more than just a repeal and rework of the Clean Power Plan, Obama’s signature domestic climate policy and Trump’s preferred scapegoat for the declining coal industry. The order also seeks to repeal rules regarding fracking on public lands, and coal leases on federal lands. It orders agencies to reconsider the Social Cost of Carbon and rescinds an Obama-era order requiring agencies to consider the impact of climate change in their environmental permitting process. And it undoes key executive actions meant to make the federal government — and communities — more prepared to handle the consequences of climate change. Reports have been circulating for months regarding this order and its contents, but the timeline for its release slipped more than once. 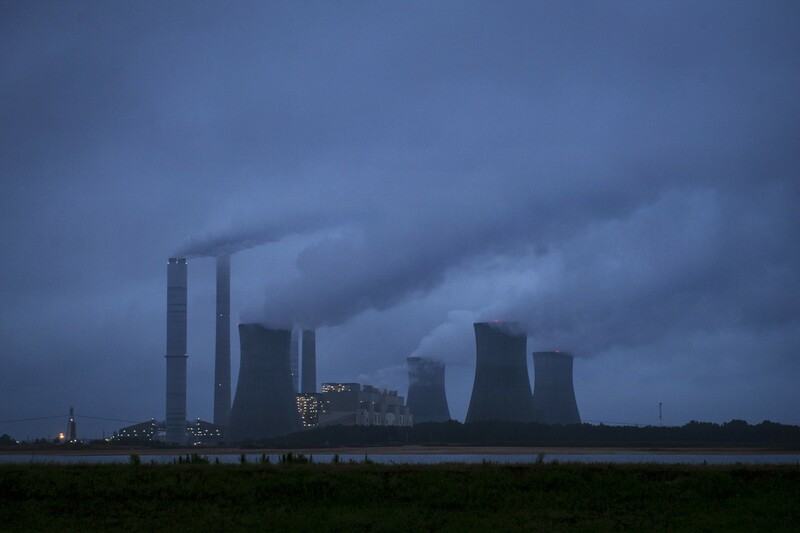 As the weeks stretched on, the executive order became about more than just the Clean Power Plan — the Trump administration, acting not unlike a five-year-old left unsupervised in the aisles of a candy store, kept piling on rules and regulations it wanted to include. The result is a behemoth order that touches on nearly a dozen different Obama-era rules. And while it will certainly have a measurable impact on domestic energy policy for years to come, the order — like Trump’s proposed “skinny budget” released in mid-March — is also a values statement, one that signals the United States federal government is no longer interested in fighting climate change, or helping communities adapt to its devastating consequences, at home and abroad. This order will make communities more vulnerable to climate change. While the order is being touted as a job creator by the Trump White House, it’s important to note that it sends a clear signal to agencies across the federal government: climate change is no longer something that should be considered a priority when making decisions. That’s evident in the order’s directive to repeal a number of Obama-era executive actions aimed at promoting energy efficiency in federal buildings, establishing a federal flood risk management standard, mandating that climate resilience be factored into international development strategies, and requiring federal agencies to take steps to prepare for climate impacts. “We believe a number of those orders have run their course, we also believe those orders simply don’t reflect the president’s priorities when it comes to dealing with climate change,” a senior White House official said on Monday. Trump does not accept the scientific consensus on climate change, and has claimed it is a hoax created by the Chinese to make the U.S. less competitive in manufacturing. His EPA head, Scott Pruitt, also does not accept the scientific consensus on climate change, falsely claiming carbon dioxide emissions are not a primary contributor to global warming. In fact, 97 percent of scientists agree that climate change is both real and a result of human activity. Government agencies may choose to continue to consider climate change in their planning processes, even after Obama’s executive orders are repealed. The Department of Defense, for instance, has long sounded alarm bells about the danger climate change poses to both national security and U.S. operations abroad. It’s unlikely they will stop taking climate impacts into account, especially with Secretary of Defense James Mattis citing climate change as a threat to American interests at home and abroad in unpublished testimony provided to the Senate Armed Services Committee after his confirmation hearing. Other agencies, however, may stop factoring climate change into their policy-making process since they are no longer required to do so. This order won’t bring back the jobs Trump promises it will. On the campaign trail, Trump touted an energy platform that was heavy on promises and light on policy. He promised to bring back coal jobs and revitalize the shrinking industry, whose decline he blamed on Obama-era regulations like the Clean Power Plan. He also promised to unleash American natural gas extraction, pledging to open up drilling on federal lands and in previously off-limits coastal areas. Despite EPA Administrator Scott Pruitt’s assertion on ABC’s This Week that the executive order would “absolutely” bring back coal jobs, it’s unlikely coal communities will see immediate relief from this new executive order. The order does not address the issue of automation in the coal industry, which has been responsible for rapid reductions in mining employment. It also does nothing to combat the competition coal faces from cheap natural gas — if fact, Trump has regularly expressed support for expanded fracking in the United States, a policy that would further deepen coal’s decline. The order also does nothing to provide health care to tens of thousands of retired coal miners, who are facing the expiration of health care benefits in April. It also does nothing to soften cuts to regional programs proposed in the Trump “skinny budget,” including zeroing out the Appalachian Regional Commission, a program that helps fund everything from infrastructure updates to job training programs in communities hit hardest by coal’s downturn. Moreover, repealing the Clean Power Plan — coupled with cuts to renewable energy and energy efficiency funding proposed in Trump’s budget — could hurt a sector of the economy that has been experiencing rapid growth in recent years: renewable energy. According to a report from the Environmental Defense Fund, wind and solar have been adding jobs at a rate 12 times as fast as the rest of the economy, and the Bureau of Labor Statistics expects that the fastest growing job over the next decade will likely be a wind turbine technician. This order won’t increase America’s energy independence. Pruitt, Trump, and White House Press Secretary Sean Spicer have all touted Tuesday’s order as a move to reduce the country’s dependence on foreign energy sources and increase energy independence — but it’s far from a sure thing that the order will actually accomplish this. Eliminating the Clean Power Plan (a process this order merely sets into motion) likely wouldn’t have a significant impact on the country’s energy imports. If anything, it would shift America’s energy mix to slightly favor coal, away from lower-carbon alternatives like renewable energy. Lifting the coal moratorium is also likely to have a negligible impact — at least in the near term — on U.S. energy independence, as many coal companies currently have sufficient reserves to meet demand. Similarly, lifting rules for fracking on public lands is unlikely to substantially boost production in those areas; the Obama-era rules did not prevent fracking, but simply required stronger environmental standards and reporting from companies that drill on public lands. According to analysis from the Department of the Interior, those rules would have increased the cost of production per well by less than a quarter of one percent —probably not a large enough margin to seriously impact production. Doing away with the Obama-era rule meant to limit methane from oil and gas operations will likely result in more wasted methane from those operations — increasing waste in the U.S. energy sector, not spurring production. An economic analysis from the Environmental Defense Fund found that scrapping the rule could result in loses of natural gas worth up to $330 million each year. This order means years of legal battles are ahead. Many of the marquee regulations the Trump administration is seeking to repeal with this order — the Clean Power Plan, limits on methane from existing oil and gas operations, standards for fracking on public lands — cannot be unilaterally repealed with the stroke of the pen. Other parts of this order — the portion targeting the Social Cost of Carbon, for instance, or the elimination of the Council on Environment Quality’s National Environmental Policy Act guidance on climate change — can be accomplished with the stroke of the pen, but definitely open the administration up to legal challenges in the future. The bottom line is that Trump, like all presidents, has to operate within the bounds of what he can and can’t do by executive order. With this sprawling order, he’s certainly tried his hardest to do as much as he can, unilaterally, to reverse the Obama administration’s climate progress. Environmental legal experts agree with that analysis. In rolling back Obama-era regulations or rules, the Trump administration will also have to contend with years of established environmental law. A 2007 Supreme Court ruling found that the EPA has authority, under the Clean Air Act, to regulate carbon dioxide — if the EPA chooses to renege on that authority, it’s likely that the agency will be challenged in court. The same goes for using the Social Cost of Carbon in decision-making: a different 2007 court order directed the George W. Bush administration to consider the value of cutting carbon pollution in creating vehicle fuel economy standards, and it’s likely environmental groups would challenge future decisions that do not take the value of cutting carbon dioxide into account. And while it’s unclear exactly how those challenges will play out in court, one thing appears certain: environmental groups are ready to fight.